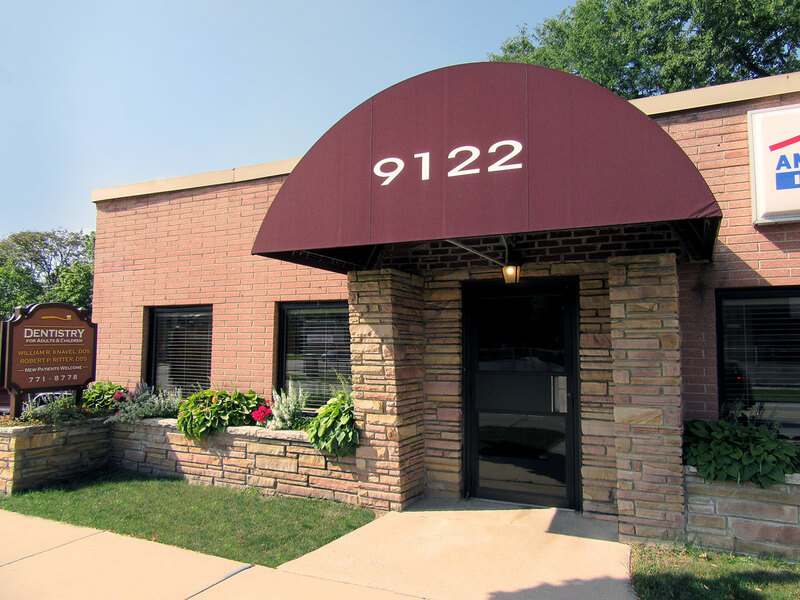 Doctor William Knavel Dentistry has been keeping smiles healthy for over 30 years, working with the amazing families of Milwaukee and Wauwatosa area. New patients, children, seniors and handicapped persons are all welcome. 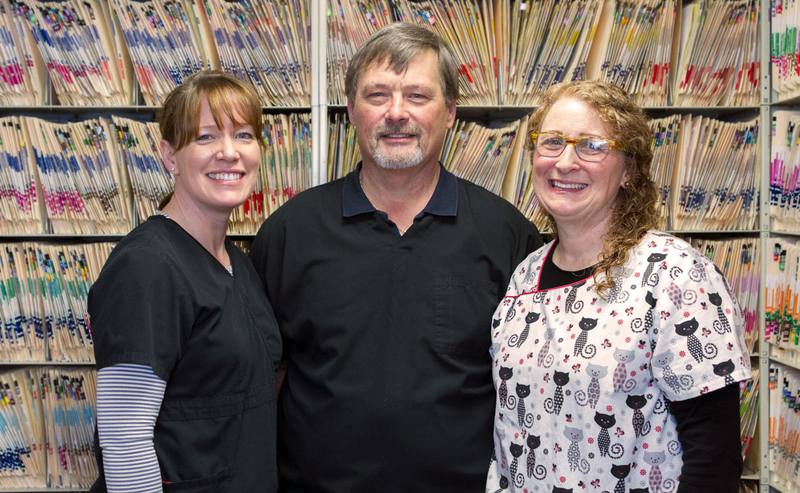 Dr. Bob and his experienced team are committed to providing the highest quality of care to all patients. And as needed for emergencies! Routine exams are essential to keeping your smile healthy & bright. We highly recommend a check up every 6 months, with x-rays taken once a year. Children also receive fluoride treatments to help prevent decay in the younger years when the tooth brushing routine may not be perfect. Cracks, fractures or decay all require regular fillings. We offer silver amalgams or resins matched to your exact tooth coloring. Porcelain crowns are only done if the decay is too large to fix while still retaining tooth integrity. Custom trays can be made to whiten your teeth at home. We can also offer a stronger bleaching solution kit than you can purchase over the counter. Our prices are very competitive. Dental implants are the most favored way to replace a missing tooth. Implants feel and look natural. They are also extremely durable making them last a long time. Veneers are porcelain shells that can cover discolored or jagged anterior teeth. Pulp tissue dies when the inside of a tooth is diseased or injured. The tooth can get infected and may cause pain if this tissue is not removed. A root canal treatment helps to remove this tissue while saving the natural tooth. Dental crowns and bridges are done to replace or restore missing or damaged teeth while attaching them to strong, existing teeth. Dentures can help you restore your full oral functionality. We can create brand new dentures or repair old sets. Dentures should be adjusted or repaired every 5-10 years. With tooth extraction we strive to provide the most comfortable environment for all our patients from before the surgery to back at home. 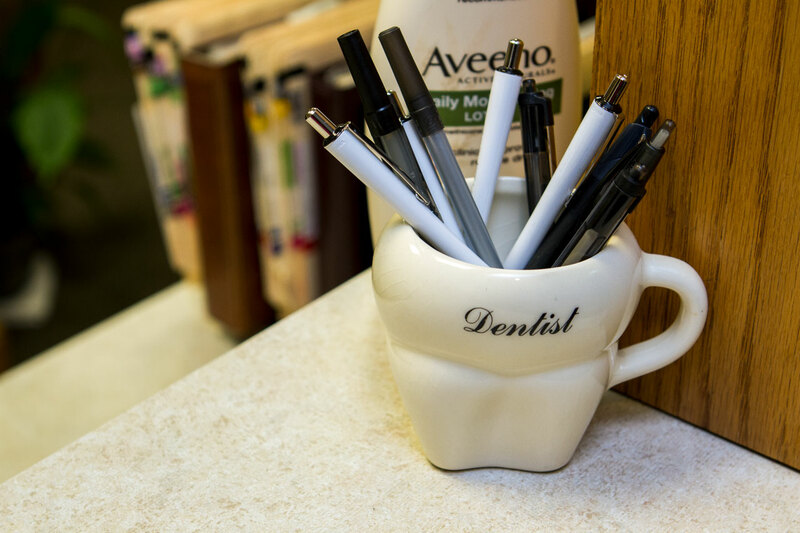 Most tooth extractions can be done right in our office, however, we will refer you to an oral surgeon if that better fits your needs. We have patients whose snoring has been "cured" with the help of this high-tech appliance. Hi From Dr. Bob, Kathy & Dana! 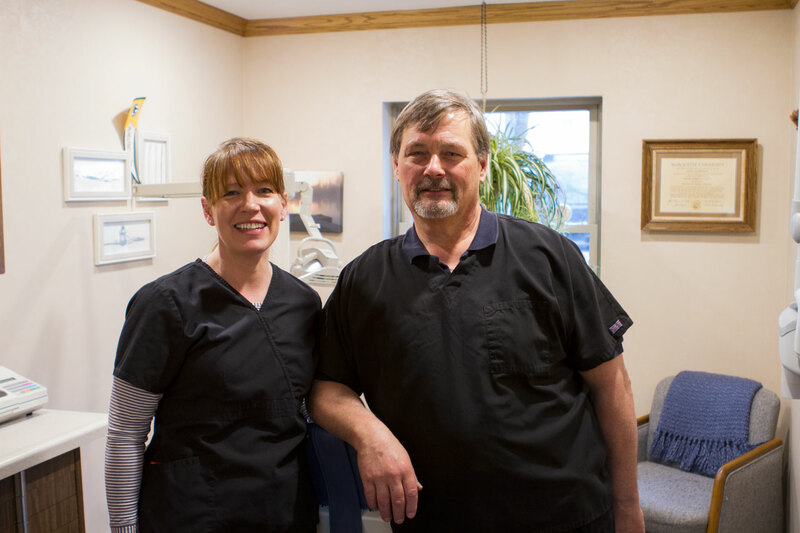 Dr. Bob has been practicing dentistry for over 30 years and his hygienist, Kathy, has been practicing for over 25. 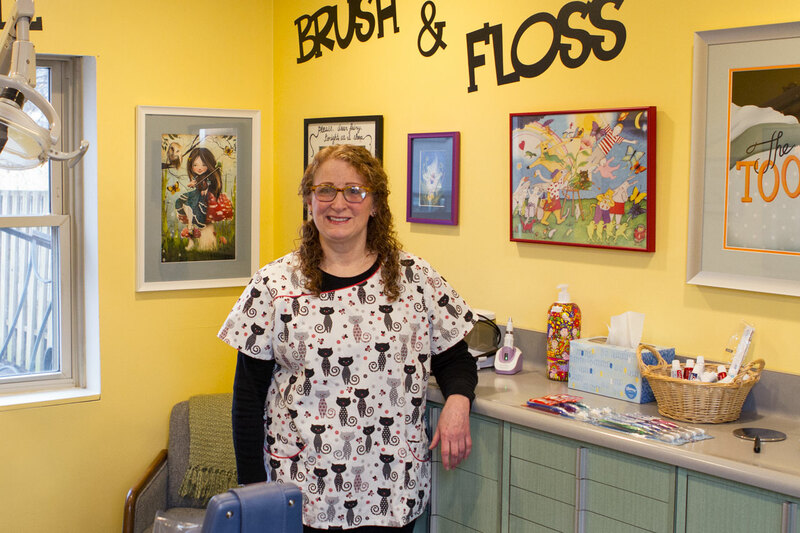 After being the receptionist for many years, Dana has been Dr. Bob’s office manager and assistant for over 6 years. 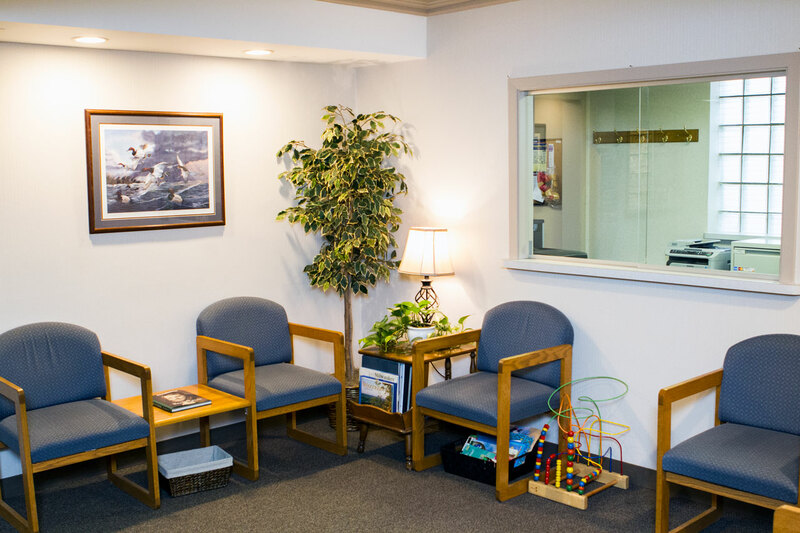 We always want to provide a positive experience for our patients in a healthy and pleasant environment. If you have any questions during your visit don’t hesitate to ask or call us!